"We pride ourselves to do thorough testing before release, the same cannot be said for our so-called 'competitors,'" says Gateway. 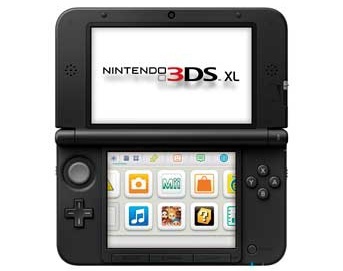 A few days back, when hackers defeated the 3DS region locking system, many users who tried to take advantage of this tactic had an unpleasant surprise in store. Their 3DS devices died, and it seems the culprit is Gateway's piracy enabling flash card, which recently updated with anti-piracy measures that brick devices. Gateway manufactures a homebrew flash card advertised as a way to play backup 3DS ROMs, a practice which Nintendo definitely does not approve of. However Gateway's own tech has been pirated by other card manufacturers, and this upset Gateway so much that it recently introduced what amounts to a piracy kill switch, in a software update. Once it detects illicit activity - and any modification counts as illicit in Gateway's book - it corrupts flash memory, effectively destroying the device. "We do not answer rumors, speculations and other tactics from people who are not even real competitors but simply companies stealing our hard work," says Gateway customer support. "It would be just taking away our time from what we owe our customers: Bringing them a better and better experience with Gateway new firmware, functions and compatibility." At time of writing, Gateway's site would seem to be out of action; an official statement posted there suggests that "flawed copying or modifications of our official launcher firmware" is to blame. The region-free patches, say Gateway, are among the modifications it warns its customers to avoid. Since Gateway's product is itself illegal, customers won't have much luck appealing to the authorities. Gateway has said that it only offers support for genuine Gateway customers, and those with bricked devices can't be genuine customers. If they were, they wouldn't have tried to modify Gatway's product. Those with dead devices have only one option: send it back to Nintendo for repair.